An Orlando Mother’s Day Package to Remember! It’s a gift Mom will remember forever! Looking for a memorable way to spend Mother’s Day? How about a holiday getaway to Orlando, where you can enjoy the Mother’s Day Breakfast In Bed Experience? Get ready for super cute stuff. On Mother’s Day morning (Sunday May 13), your children can become little gourmet chefs at Hilton Orlando Bonnet Creek, as they help to prepare (and plate) breakfast for mom, alongside the staff at Harvest Bistro. And, because most moms love flowers, your kids can create a fresh flower bouquet, to delivered along with breakfast in bed. 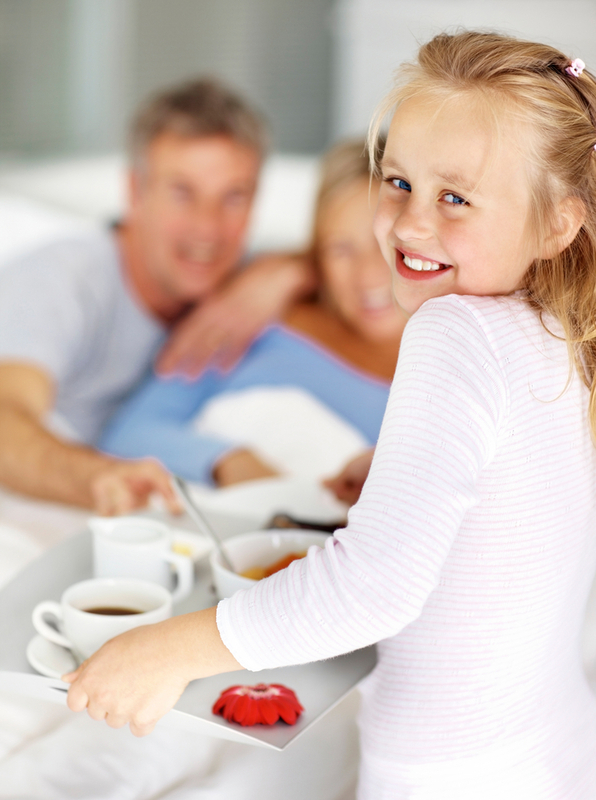 Yes, the breakfast that your children helped to prepare and plate will be delivered to mom in her guest room, with the help of our in-room dining servers. The Mother’s Day Breakfast In Bed Experience is available to all guests, for $24 per adult. Reservations can be made at the Front Desk during check in, or through the Concierge team. For Dinner, Harvest Bistro will feature a Mother’s Day Seafood Dinner Buffet from 5pm until 10pm. Prices: $29/adult, $14/child. Remember that Kids Eat Free at Harvest Bistro, up to two children per full-priced adult meal. And, of course, dinner includes one complimentary glass of champagne and a flower for mom! At the Sena lobby bar, we will feature $4 Mother’s Day Mimosas all day long. And don’t miss dinner at La Luce by Donna Scala, where we will highlight special holiday features. The rest of the weekend is yours to enjoy! Maybe it’s an afternoon at our neighboring Disney theme parks, time at our lazy-river pool, or a special Mother’s Day Weekend spa or golf experience at the adjacent Waldorf Astoria Spa by Guerlain or Waldorf Astoria Golf Club. For reservations, please call 888-353-2013, or visit our website. A Mother’s Day Package Like No Other! Looking for a memorable way to spend Mother’s Day? How about a holiday getaway to Orlando, where you can participate in the Mother’s Day Breakfast In Bed Experience? On Mother’s Day morning (Sunday May 8), your children can become little gourmet chefs at Hilton Orlando Bonnet Creek, as they help to prepare breakfast for mom, alongside the staff at Harvest Bistro. And, because most moms love flowers, your kids can create a fresh flower bouquet, to deliver along with breakfast in bed. The rest of the weekend is yours to enjoy! Maybe it’s an afternoon at our neighboring Disney theme parks, time at our lazy-river pool, or a spa experience at Waldorf Astoria Spa by Guerlain. For reservations, please call 888-353-2013, and reference SRP code P5.